A few months back, when I was putting together the review for KOF Sky Stage, during my research I turned up information on another shooter SNK had released in Japan, Neo Geo Heroes: Ultimate Shooting. This game, as I looked into it, seemed like it was the game SNK had wanted Sky Stage to be, featuring more characters, more stages, more depth, and an overall more polished feel, if the videos and write-ups were any indication. At the time, I figured we’d see a US release of the game one of these days, but assumed it’d be sometime next year, and went back to working on Sky Stage without giving it a second thought. Apparently SNK is more forward thinking than I thought, as Neo Geo Heroes has just come to the PSP as an online download for US audiences. Now, Sky Stage was a fun novelty shooter featuring several King of Fighters characters as the ships, and Neo Geo Heroes takes that framework and builds on it to create a more robust experience all around. More playable characters are added, branching pathways are introduced, and several novelties are added to the package, including a fully functional version of Sky Stage ready to play, making it a value for fans of Sky Stage or shooters in general. But is the overall product really better than its predecessor, one might ask? Let’s take a look. The story this time around is that GEO-GEEGUS, a massively powerful being of some sort or another, has abducted various powerful warriors from various points in time and space and is using them for their energy, as his goal is to become the most powerful being in the universe. A scientist, Doctor Brown, has developed a machine that can pluck potentially useful heroes out of the time stream to oppose GEO-GEEGUS, which he does with whatever character you happen to pick. 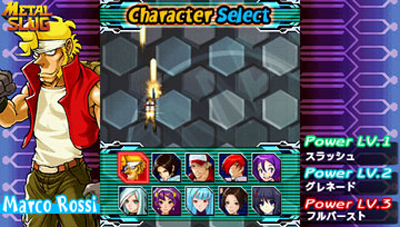 The six characters from Sky Stage, Kyo, Mai, Iori, Terry, Athena and Kula, are also joined by Marco from Metal Slug, Akari from Last Blade, Iroha from Samurai Shodown and SYD III from Armored Scrum Object, so basically you have martial artists flying around with army men and spaceships, and that’s fine by me. Now, as in Sky Stage, this seems like it’d be a pretty bare bones “We hate the bad guys so let’s FIGHT!”Â sort of product, but there’s a surprisingly substantial story to the game, even moreso than the previous work. Each path you choose leads you to different bosses, each with their own unique dialogue relative to who you face off against, and each character gets a pretty good amount of motivation and exposition for a shooter, which is as awesome as it was in the last game. On the upside, the character motivations are explored a bit more, surprisingly, this time around; on the minus, as most of the bosses are your allies and old King of Fighters bosses, you won’t get as much neat fanservice from this game as you might have from Sky Stage. Sure, it’s nice that Goenitz shows up, but how about having some more famous SNK bosses show up for a beatdown? This would reinforce the whole SNK feel of the game, instead of making it feel like a King of Fighters game with a couple new protagonists. 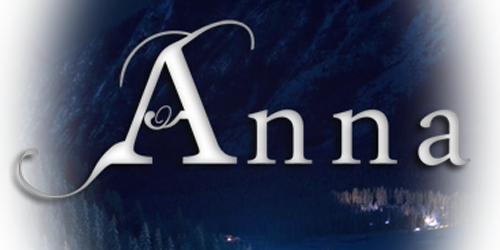 This is a small complaint, mind you, and the plot doesn’t suffer much for it, but it’s kind of disappointing. The game, once again, looks pretty solid, though instead of using normal sprites ala most standard SNK titles, the game goes full 3D, which, while a bit surprising, ultimately isn’t all that noticeable, especially on the PSP screen. The character models are generally well animated all around and easily recognizable, both allied and enemy, and the various smaller enemies you’ll face look acceptable for a shooter, all in all. The different environments are also very nice to look at and drastically different from one another, and Neo Geo Heroes fixed an issue Sky Stage had with using backgrounds that were a matching color to the bullets, as this thing does not happen here. The in-game audio is also a good bit better than it was in Sky Stage, as well. The music is solid, as one would expect from any shooter, and the sound effects sound fine all around, as they were in the prior game. This time around, though, the voice work is strictly in Japanese, so it sounds more interesting than a lot of the English dubs from Sky Stage as a result. The included version of Sky Stage still has the occasional backgrounds that are the same color as the bullets and the awkward and unexciting English dub, however, which is disorienting when going from one to the other, but hardly problematic or anything. As this is a shooter, the mechanics of the game aren’t terribly hard to wrap your head around, and if you played Sky Stage you’ll be right at home in seconds. You move the character around with the stick or the pad, and holding down the Circle button sprays bullets from your character onto the screen in whatever pattern the character uses. Each character has a different pattern, obviously, with some being more practical than others at various points. Each character also has a bomb they can use with the Triangle button, filling the screen with death and clearing it of bullets and weaker enemies as they go. The gimmick of the game is the Super Attack system, which is just as interesting as it was in Sky Stage. Basically, your character has a three level Super Meter at the bottom of the screen that fills up on its own in a few seconds. By holding down the X button, you can use between one and three bars of the meter to perform various special actions, dependent on the character. This can be anything from a massive damage attack to a damage avoiding teleport to summoning copies of your character to shoot along with you, depending on the character, which makes each character more than just a bullet pattern. Since the bar is constantly refilling, you don’t even need to worry about doing something to charge it; by simply waiting a few seconds, it’s ready to go again. On the downside, you can’t attack while you charge it, which can be a problem in heavily populated sections, making it a solid risk/reward system that gives the game a fresh feeling all around. You can also taunt at the press of the Square button, which clears the screen of bullets, but then jacks out the bullet count, but also rewards you with additional medals, which award you points at the end of the stage should you get there intact, adding another interesting risk/reward factor to the game, which should please shooter fans all around. The game features a total of fifteen levels, broken up by branching pathways, meaning that you’ll only see five levels in any given playthrough. Each stage also features its own boss you’ll have to face, with the final stage pitting you against a regular boss, then GEO-GEEGUS as the final boss, before you see one of the five endings for your character, so, yes, there are literally fifty endings to the game. The game also offers offline multiplayer action, allowing two players to take on GEO-GEEGUS and the various enemies that stand between you and him. There are also multiple settings to play around with, dictating the difficulty of the game as well as whether or not you can take damage (though being invincible removes your ability to earn rankings for your scores). You can also start from any stage you’ve completed if you’re just looking to see all the endings, though. 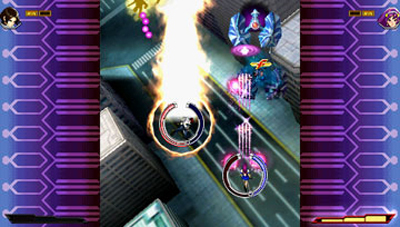 The game is also big on its high scores, as the game rewards you not only for your destruction of enemies, but also for collecting the aforementioned medals that fall out of enemies (with NEO medals being worth the least, GEO medals being worth more, and NEO GEO medals being worth the most) and for “combos”Â, IE multiple enemies destroyed in succession. As such, you’re challenged not only to vaporize enemies efficiently, but also to collect as many medals as possible and to keep your combo chain going, which all combine to make the scoring system tough, but fair. Neo Geo Heroes also adds in a couple of interesting things that Sky Stage didn’t have to justify the higher price point. For one, there’s Challenge Mode. Challenge Mode offers two play choices: Subject Mode, which tasks you to complete various actions across the various stages as any character you wish, and Survival Mode, which is essentially “Boss Rush”Â mode, tasking you with taking out the bosses in succession with no continues. These two modes are challenging and add some solid replay value to the game for shooter fans. You can also check out the Museum to look over unlocked media, such as character concept art, music, endings and other fun stuff whenever you want. The game also comes with a complete arcade port of Sky Stage, which means that you can play through the game from beginning to end and try to earn the various endings and such in that as well, though it lacks the option for multiplayer support of the XBLA version, as it’s single player only. Still, it’s a nice inclusion to have, as it’s still a full single player shooter you’d otherwise pay ten bucks for. Finally, the game also offers a horizontal display option where you hold the PSP with the D-pad downward and the buttons upward and play with the screen aspect the way it’s meant to be seen. The actual mode is kind of weird, to be honest, and takes a little getting used to, but it’s a nice offering if nothing else and for those who want to see the game the way it’s intended it works fine. While Neo Geo Heroes is a more robust offering than Sky Stage was, it’s also a more obviously rehashed game as well. 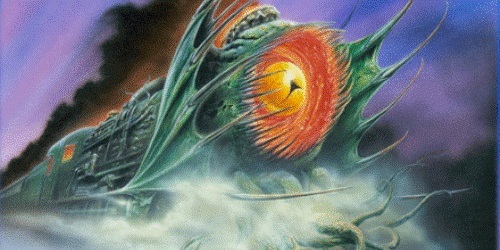 The six playable characters from Sky Stage, as well as the various bosses, all appear here in largely unedited form, as if they were directly lifted from that game. In fact, most of the normal enemies you’ll face and even some of the stages you’ll see look to have been lifted entirely from that game as well, which becomes more obvious if you play Sky Stage after a round of Neo Geo Heroes, since both are in one game and all. It’s one thing to reuse some assets from a game, but it’s another to basically build a new game on top of the original, and while there are some nice additions here, to be sure, it’s going to feel more than a little familiar to anyone who bought Sky Stage for XBLA. It also bears noting that the medal system is functionally unchanged from Sky Stage, meaning that medals collected during a stage are immediately lost the moment you take damage, meaning you’ll have to clear a stage without taking a hit to have the medals count. This is understandable, in that it rewards better players with higher scores for avoiding damage, but so should playing on a higher difficulty or maximizing your use of the taunt option. One hit stripping you of all the medals you collected seems kind of harsh all in all, and time has done nothing to revise that opinion. The game balance is also suspect, again, as even in Very Easy difficulty, which is the easiest difficulty available, the game fills the screen with bullets constantly by about the third stage, and this hurts about as much as it did in Sky Stage, which is to say, a lot. 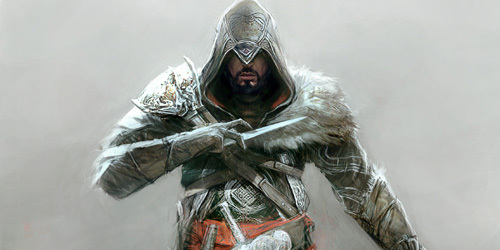 Finally, while the inclusion of multiplayer support is nice, the lack of any ability to do so beyond local play between two players with a copy of the game is somewhat disheartening, and while a handheld version of the game is nice, a console release would be more desirable all in all. Neo Geo Heroes: Ultimate Shooting is a notable improvement over KOF Sky Stage in terms of depth and substance, and is a better game overall that’s well worth the price for shooter or SNK fans. The story is quite solid for an overhead shooter, the visuals are as flashy and lively as ever, the music and sound effects are a nice throwback to old SNK games and fit the product well, and the voice acting is less annoying than in Sky Stage. The game is still incredibly simple to play and learn, but between the Super Move system and the taunt option, there’s plenty of risk/reward elements to make the game more than just another shooter. With ten characters to play as, each with their own positives and negatives, as well as multiple bosses to face, difficulty levels to conquer and options to set, both alone or with a local friend, there’s a good amount of variety to the game for fans. There are also new modes to take on, a full gallery of art and endings to peruse, and Sky Stage comes built in from the start, which more than makes Neo Geo Heroes worth the price point. The game reuses a noticeable amount of assets from Sky Stage, however, and there are still some difficulty concerns, between the less than balanced difficulty settings and the fact that one hit loses any medals you collect in the stage, that might put off less skilled players. The local only multiplayer is also disappointing given what Sky Stage on XBLA had to offer. Neo Geo Heroes pretty much justifies its twenty dollar price tag, however, if you’re a genre or company fan, and it does enough beyond what Sky Stage does to be a worthwhile acquisition in addition, so long as you understand it’s more of an expansion of Sky Stage than a whole new experience. 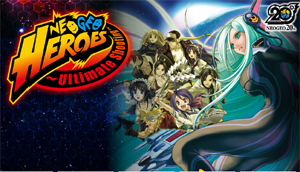 Neo Geo Heroes: Ultimate Shooting is a good expansion of what KOF Sky Stage was trying to accomplish, building on that solid framework by adding in more characters, depth, and options, and fans of both SNK and shooters will have fun with it, though it’s still not without its flaws. The storyline is expanded a bit beyond its predecessor and features multiple endings per character, though less focus on King of Fighters characters might have been nice. The game still looks rather nice all around, the music and sound effects sound great, and the inclusion of the Japanese voice work instead of an English re-dub is an improvement over the last game. The game is easy to play and offers enough unique elements to make it more than just another shooter, and between the multiple endings and paths, multiple bosses, offline multiplayer, single player challenge modes to goof around with and the inclusion of Sky Stage in the package, it’s a more robust offering than its predecessor all around. 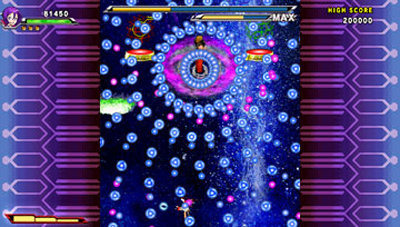 However, the game reuses so many assets from Sky Stage that it feels like an expansion more than a full sequel, and the game feels somewhat skewed towards being brutal between the bullet-hell nature of the game on even the lowest difficulty and the inability to keep collected medals unless you avoid any damage in a stage. It also feels like it would have been better served as an Arcade or PSN title, if only because the lack of any same console or online multiplayer for such a niche title makes it feel like the multiplayer won’t see much use. Neo Geo Heroes is a fine game, certainly, and it improves on Sky Stage significantly, but it’s not so much of an improvement that it’s any easier to recommend to anyone who isn’t a fan of SNK or shooters, unfortunately. You know I have not invested in any console since picking up a PS2 a few years back; however in part because of niche games like this becoming more and more prominent (and all the Ys games too) I have been snapping up PSP games (Either hard to find or bargain priced) furiously and waiting for one more price drop on the actual unit, or at least an appealing package deal. Now hopefully they will localize the PC-Engine games and some of the Japan only PSP shmups, but there are apparently ways of importing them if ultimately necessary. I have not had this much fun game-hunting in quite some time.